Dr. Shimul Shah (far right) performs surgery at University of Cincinnati Medical Center. The University of Cincinnati Medical Center (UCMC) performed 303 organ transplants in nearly 300 surgeries last year, setting a new record. That's a 25 percent increase from 2017 overall and a 40 percent increase in living kidney donor transplants for the hospital. UCMC is home to the region's sole comprehensive organ transplant program. "It's a combination of our program's growth and reach ... and making sure that patients in our region are coming here, in combination with an increase in the number of organ donors in the United States," says Shimul Shah, M.D., chief of solid organ transplantation with UC Health. "So there's more organs and ... we are listing more and more patients for transplant because of the growth of our program." Patient outcomes are trending positive as well, and the rate of patients on organ waiting lists who are receiving organs is among the highest in the country, Shah says. "Meaning we are listing people and we're getting them transplanted. They're not dying on the waiting list." According to data from the United Network for Organ Sharing (UNOS), UCMC performed the third most transplants in Ohio, behind the Cleveland Clinic at 525 organs, and The Ohio State University Wexner Medical Center at 461. Transplant numbers could change in the coming years because the way organs are allocated around the country is changing. "One of the issues is how organs are given out is a bit arbitrary. It's based on donor service areas which were kind of made up many years ago," Shah points out. The threat of a federal lawsuit prompted UNOS to adjust the liver distribution policy. Previous fixed boundaries are being replaced with circular radius ones that also take need into account. The new plan takes effect in April. New policies for other organs are either under public review or in various stages of discussion. Organ transplant surgery is increasingly safer and more people who might not previously been considered are receiving organs successfully. More than 36,000 organs were transplanted in 2018, according to UNOS. Living organ donation went up 11 percent nationally and the number of people choosing to donate organs upon death rose 4 percent. UC Medical Center ranks 16th in the country among liver transplant centers and 40th for the number of kidney transplants. It was one of the first in the country to perform organ transplants. Dr. Wes Alexander, a transplant pioneer, created UC's program in 1967, performing Cincinnati's first kidney and adult heart transplant surgeries. He died last year. A study comparing the effectiveness of 3D versus 2D mammography is enrolling participants in Greater Cincinnati. A UC Health cardiologist is studying whether the Orthodox Jewish practice of wearing tefillin, a tight leather band strapped around the arm and worn during 30 minutes of daily prayer, can protect against heart damage. A pilot study suggests it might. 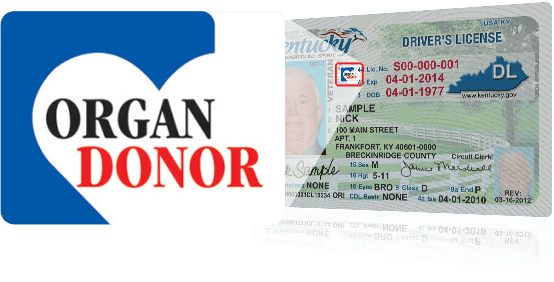 Kentucky has one of the nation’s fastest-growing organ donor registries, but a change in driver’s license rules could hamper that growth. Most organ donors register when they receive or renew their driver’s license. When Kentucky begins rolling out new standard licenses and voluntary travel IDs in March, drivers 21 years and older have the option of renewing their licenses every four or eight years.